Did you know; a fast computer can crack a password of 8 characters in less than three months! The release this month introduces some improvements to the Password Generator. I do hope you're using this useful utility and not using the same password for all of your logins. Tut tut! Generate some passwords and use the Vault to store those long and complicated strings of characters. The longer the better. I've made some changes to the Generator so you can generate passwords up to 4096 characters in length. Typically, 16 to 32 characters should be fine for your login passwords. For some people you may want to generate a full list of characters. Your wish is my command. You can now specify the number of passwords you want to generate. 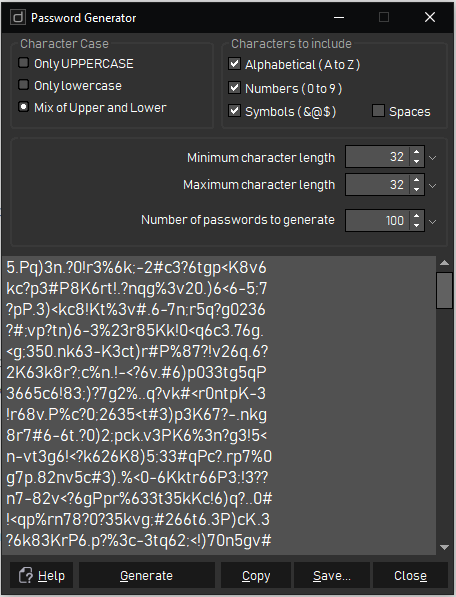 Need a list of 100 x 32 character passwords? no problem. Hit the Generate button. 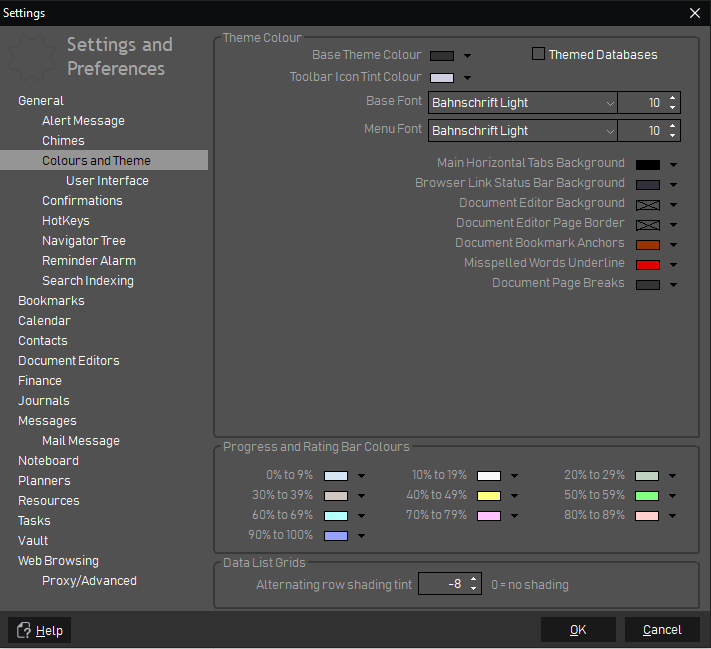 You'll also notice the Settings section "Colours/UI" has been split. This is to accommodate some future development. Colours are in one page and the UI behaviour in another. There are some new colours you can set too. Go ahead and make doogiePIM your own by colouring up your display. Yup. It's that time of the year again. Wow, it comes around so quickly. This year, doogiePIM will be offered for 50% off the full price. This is exclusively offered from the good folks over at BitsDuJour . So head over there and grab a bargain. The BitsDuJour offer is on the 20th June 2018 for a limited period.